Sri Lankan Apparel Manufacturers & Suppliers are reputed worldwide for producing top quality ethical fashion apparel trusted by the iconic global fashion brands. Sri Lanka’s apparel export industry is the most significant and dynamic contributor for Sri Lanka’s economy. The industry has enjoyed epic growth levels over the past four decades and is today Sri Lanka’s primary foreign exchange earner accounting to 40% of the total exports and 52% of industrial products exports. This industry, entirely privately owned has successfully exploited the opportunities in the international market. Worn by quality conscious consumers all over the world, products belonging to these international brands are sourced and manufactured in Sri Lanka-South Asia's fashion and logistics hub and global apparel visionary. Apparel categories span sportswear, lingerie, loungewear, bridalwear, workwear, swimwear and childrenswear. 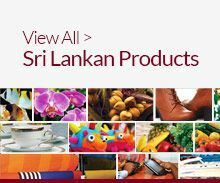 These products are manufactured and exported with the flexibility of catering to specific seasons of many countries around the world; it is no wonder that this industry has enjoyed epic growth levels over the past four decades and is today Sri Lanka's primary foreign exchange earner. Sri Lankan apparel has evolved from traditional exports and tailoring designs to providing sophisticated solutions, creativity and experience in BPO services, Fashion, R&D, and Innovation Centers, bridging the country's gap between developing and developed. The country has the highest apparel exports per capita of any exporting nation in the region. Organic growth is guaranteed through market penetration and capacity expansion in the recently opened North and East of the country, where 10 factories are in construction with more projects on the way. In addition, Sri Lanka's envisaged exponential growth through hub services will emphasise the industry's rise to international fame. It is no surprise that Sri Lanka's top three apparel companies are already amongst the world's 50 most important suppliers, and the industry has sustained over US $3 billion in export revenue for five consecutive years. Several Indian retail brands count on sourcing from Sri Lankan factories attracting global brands to invest in Sri Lanka as an Indian Sub Continent Hub. A large UK retailer watches their cost and lead-time savings grow exponentially - and it all began when they set up their regional Supply Chain Logistic Hub in Sri Lanka. A number of European and Asian fabric suppliers store their fabric in Sri Lanka to support fast fashion, taking advantage of fast regional shipping times and clearing in less than 24 hours. This world fame is in no small part attributable to the industry's profound commitment to ethical and sustainable practices. Environmental, social and economic sustainability are highlights of the industry. Green manufacturing is more than a buzzword; the Sri Lankan apparel industry has embraced this concept. Sri Lanka also showcases the best of technology in the garment industry, including the world's first eco-friendly "Green Garment Factory" that cut energy in half and water consumption by 70%. These factories have found business sustainability through the practice of lean manufacturing, with lowered overheads and faster return on investment. LEED Platinum and Gold Certified entities practice international standards of recycling, effluent treatment and waste management practices. A collective effort to reduce the carbon footprint has been made by Sri Lanka suppliers and manufacturers to make local apperal industry more eco-friendly and sustainable. Sri Lanka also abides by the regulations of the World Trade Organisation (WTO). Like any other industry, Sri Lanka's global fame and worldwide appreciation is attributed to the people behind the fabric. Sri Lanka is a socially responsible and preferred destination for apparel sourcing and is the only outsourced apparel manufacturing country in Asia to ratify all 27 ILO (International Labour Organisation) conventions. The local apparel industry stands out as a reliable source that pays fair wages to workers and actively discourages sweatshops and child labour. Apparel in Sri Lanka is free of discrimination, sweatshop practices and child labour and the guiding force behind this commitment to Ethical Business and Manufacturing is the homegrown "Garments Without Guilt" code which exceeds leading industry compliances. The apparel industry provides direct employment opportunities to over 300,000 and 600,000 indirectly. Leading universities turn out highly qualified graduates each year, and talented individuals are exposed to the limelight through a number of local design festivals and trade shows. Working hand in hand with customers on forecasting trends and creating new customised ranges with innovative techniques, the future of Sri Lankan apparel is in safe hands. Long term relationships with reputed multinational retailers who have identified standards of manufacture and compliance have led to economic sustainability. Association with global brands of international repute is not a mere business transaction but an exercise in maximising value of wealth creation for society. Sri Lanka is a producer of "Garments Without Guilt" the "Made in Sri Lanka" label is comfortably synonymous worldwide with the values of high quality, reliability, and social and environmental accountability.